Just 3 months before, on August 14th, he released his debut studio album, Come over When You’re Sober pt. 1. He had previously released 4 mixtapes and 6 Ep’s including joint projects between Peep and former best friend and musical partner Lil Tracy. Lil Peep, born Gustav Åhr, known as Gus to friends and family, started his musical career with a group called Schemaposse, formed by JGRXXN (J-Green) in early 2015. Peep released nearly half of his music while with this group but none of his most popular tracks. Schemaposse (Scheme-a-posse) consisted of over 40 members when it came to an end on January 12th, 2017. However, Gus left in mid-2016 to pursue a different group. Many of Lil Peep’s closest friends and popularity came from joining Gothboiclique (Goth-boy- clique) after leaving Schemaposse. Founded by Wicca Phase Springs Eternal in 2013, Lil Peep quickly found his style and released some of his best known tracks such as “Benz Truck” on June 8th, 2017, accumulating over 23 million views on YouTube as of November 2017. A list of all songs made by or featuring Gus totals nearly 10 hours. On August 17th 2017, Gus released his debatably “best” song and music video of all time, “Awful Things ft. Lil Tracy.” This quickly gained attention from critics and listeners all around amassing over 30million views on YouTube as of November 2017. Others around him did not easily accept his new-found fame though. Lil Peep and Lil Tracy released 16 songs together plus countless more featuring the other on the track. Peep and Tracy even released a song called “Lil Peep & Lil Tracy” speaking against the hate and bragging about their come up. “GODS” by Lil Peep and Lil Tracy features them not trading off verses like normal but instead traded nearly every line of the track. Although there was beef between them, Lil Tracy was seen at his funeral crying and again on a livestream on Instagram mourning his death. Reporters all over are saying he knew it was coming and it was no surprise because it was very public that he was addicted to drugs and did not control himself. Lil peep even said in an interview with Montreality when asked about his life as an 86-year-old that he would be long gone by then. 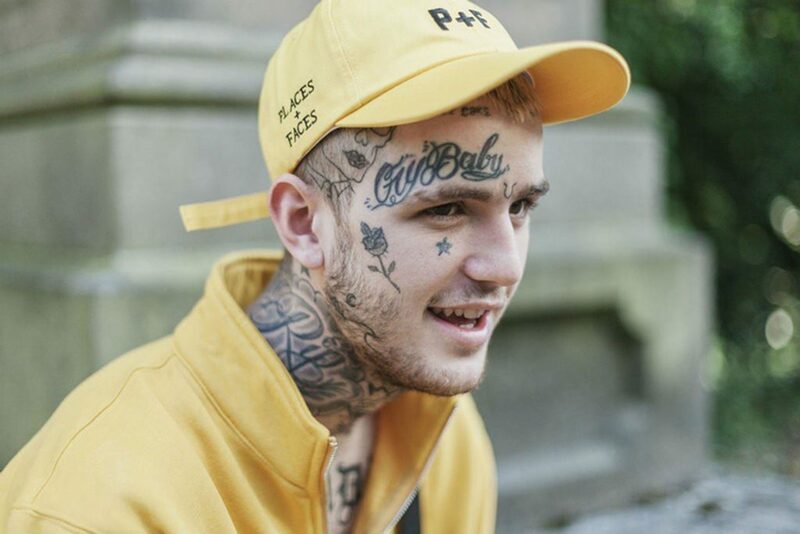 In one of his lesser known songs, “Drive-by,” on his album Hellboy, he says “I’mma die, I ain’t even 25.” This might just be to add to the flow of the song but it was no secret that Lil peep believed he would die young. All of Lil Peep’s family, friends, and coworkers loved him so much because they saw him for who he was, not what he looked like to those who didn’t know him. “It was easy to tell the difference between the people who saw his tattoos when they looked at him and the people that saw him,” said Gus just years ago. In Interview, Lil peep talked about the meaning behind his tattoos and how he doesn’t regret any of them, saying “if I woke up without any of my tattoos, I would cry.” Many people saw his tattoos and defined him by what they represented, which is easy as upside down crosses and many other controversial words and symbols covered his body. Those closest to him saw Gus as who he was, not what he looked like. The impact of Lil Peep on listeners all over the world is astronomical. Gus never cared what others thought of him or made music just to be successful, he did it because he loved it; it was an escape from the pains of everyday life for him. Best friend of many years, Ian Grant, talked about staying up almost every night, until 5 a.m. sometimes, working the whole time to achieve his dreams. Many artists and role models for Lil Peep, paid their respects after his death, there is a fine line between respecting him and exploiting his spiking popularity though. Popular rapper Post Malone got a tattoo of Lil Peep’s face on his arm after his death. Many see this as a new level of respect for Gus but others see it as a popularity stunt, only because of popularity of the young artist. Many agree that Peep deserves the attention he is currently getting, but it is sadly too late. Gus always said to never give into the hype, which lives on through his death. He preached daily; don’t be satisfied with living in the background, never change who you are for anyone else, and most importantly don’t be afraid to be yourself. Written by: Josh Holm on 18 December, 2017.